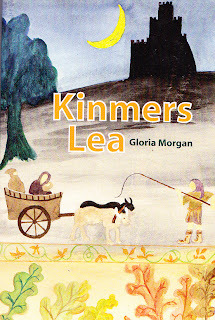 Born in London but now based in Nottinghamshire, author Gloria Morgan named her book after the original name of the North Notts town of Kimberley. The book involves an unlikely pair of allies, Edwin, an ordinary 12 year old boy and his ninety year old Gran. During the course of the book, the two become involved in events which combine the Battle of Hastings, a kidnapping plot and a wild ride to Nottingham Castle which takes place a century before the days of Robin Hood. Copies of this admirable volume can be found at numbers 3068, 3261 and 4205, with the added bonus that 3261 and 4205 have been signed by the author. Further details can be found using the `Buy Books` links provided, or you can deal direct by e-mailing us on hoonaloon@btinternet.com, provided you`re happy to pay by Paypal.